San Francisco, Jan. 17, 2019 — Beekeeper is on a roll! 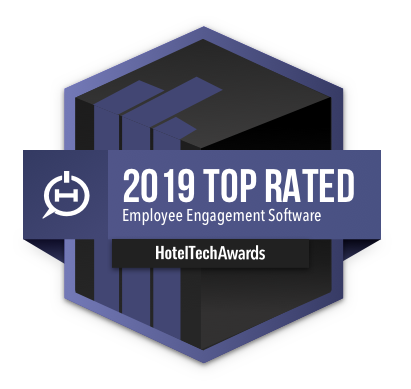 This week the company earned its fifth hotel technology award as a “2019 Top Rated Operations Product” by HotelTechReport for its Employee Engagement app that helps hotel teams “save time, improve efficiencies and collaborate better.” Winners were selected from more than 180 of the top technology products around the world. The HotelTechAwards are the industry's only data driven awards platform with winners determined not by a handful of judges but by a global community comprised from thousands of verified hotel technology users across more than 120 countries. "Today's labor market is extremely competitive, and hotels must now retain talent from gig economy jobs that provide unlimited flexibility to workers,” said Jordan Hollander, CEO of HotelTechReport. “Beekeeper clients consistently write on HotelTechReport about the product's ability to increase employee engagement and communication while building a better culture on property. Beekeeper gives on property staff a way to stay connected during the busy workday which makes for a more engaged and better- informed team."